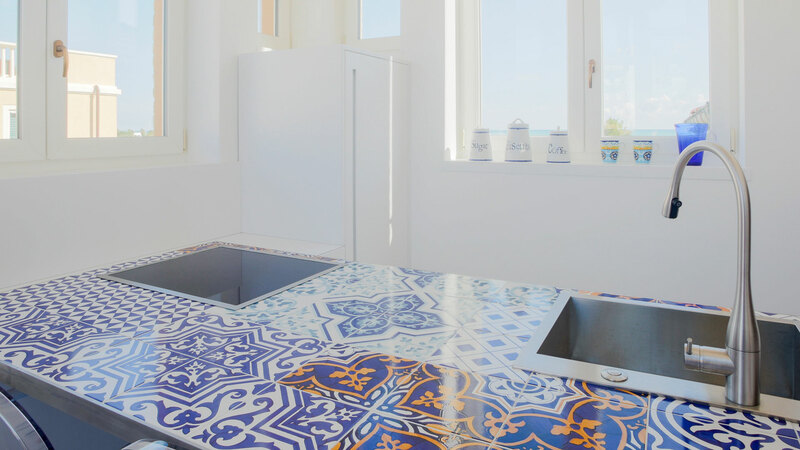 This mini kitchen with majolica top is a composition that respects in full the design and colour schemes chosen for the furnishing of the entire apartment. 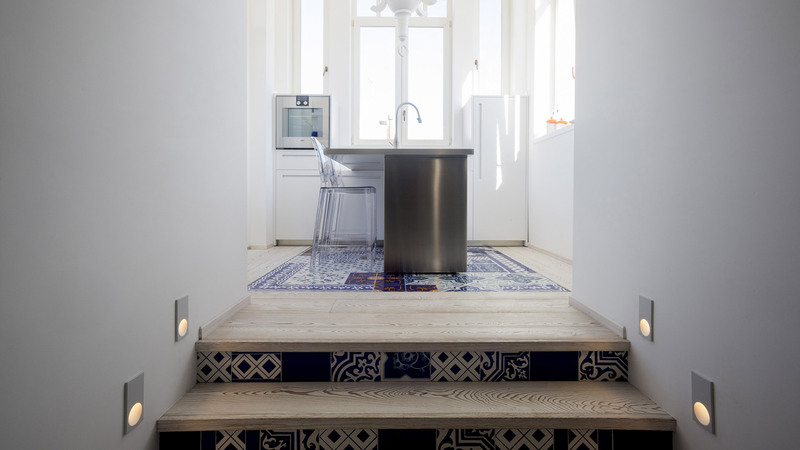 White and blue feature predominantly, but the kitchen tops, the floor below and the details on the entrance staircase are characterised by a mosaic rich in colours and sinuous lines, accentuating the “seaside” mood of the house as well as illuminating and creating movement, giving lightness and personality to the entire layout. 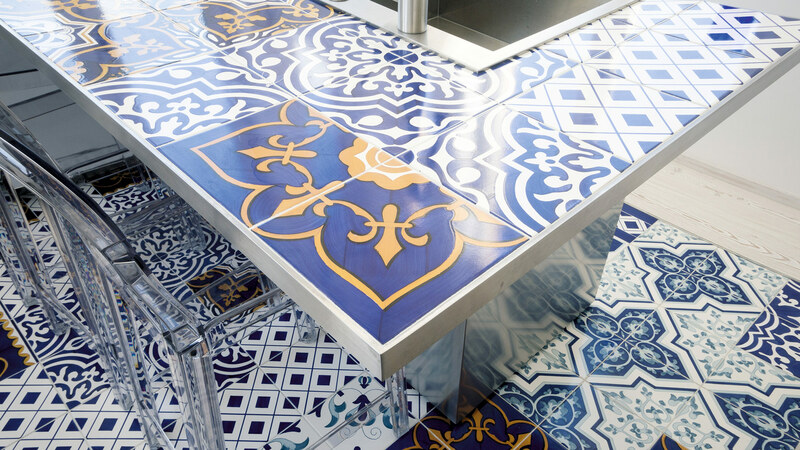 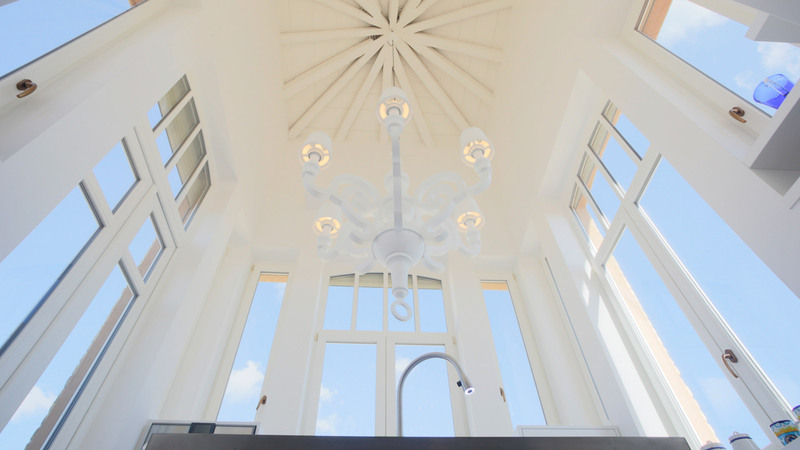 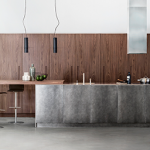 The mosaic goes well with the steel and the white doors; furthermore, the whole worktop rests on a steel block that, ironically, helps to give air to the entire kitchen.